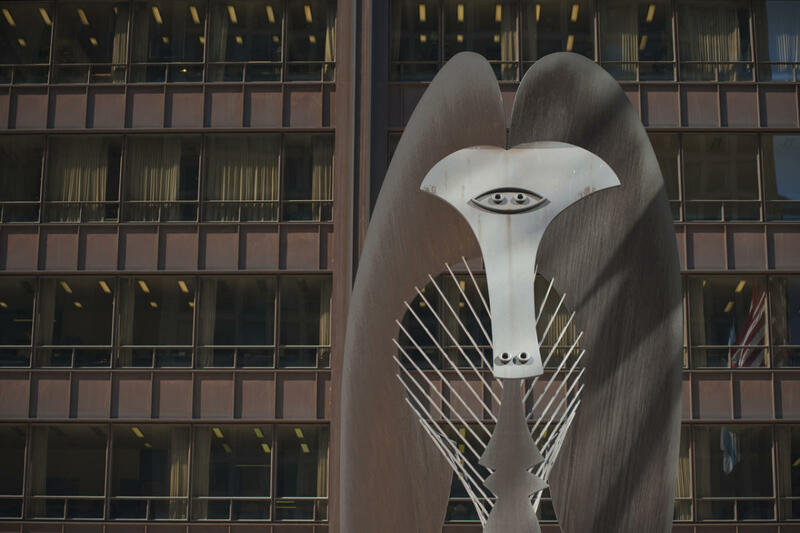 The first monumental modern sculpture to be placed in the Loop, "The Picasso" was initially greeted with controversy. At the time of its installation in 1967, the abstract design puzzled many, and the non-traditional materials and huge scale angered others. However, this gift from Pablo Picasso to the people of Chicago has over the years become an icon of the city and a source of civic pride. While opinions of the sculpture's subject matter vary, it is acknowledged as a monumental achievement in Cubism.